It has been a big day for Anthem. Today, preloading for the demo went live, so regardless of which tier you are, you can go ahead and get that Anthem data on your hard drive. But in the middle of all the demo hype, multiple BioWare folks on social media confirmed that Anthem has also officially gone gold. Needless to say, it’s an exciting time over at BioWare. While things weren’t so great with Mass Effect: Andromeda, with the reception to the game itself and all the surrounding drama, this other wing of BioWare has been toiling away on Anthem. Now, that work is on the way to paying off. In case you missed it, you can check up our writeup on Anthem‘s demo preload going live earlier today. You can also read about some of the many features in Anthem that were revealed recently, including an intriguing number of difficulty options. Anthem‘s VIP demo is set to run from January 25 through 27, 2019. Then, on february 1 through 3, the demo opens up to everyone else. It’s also worth noting the demo is a separate build of the game from the full release, and some details (such as the game’s economy) will be different. 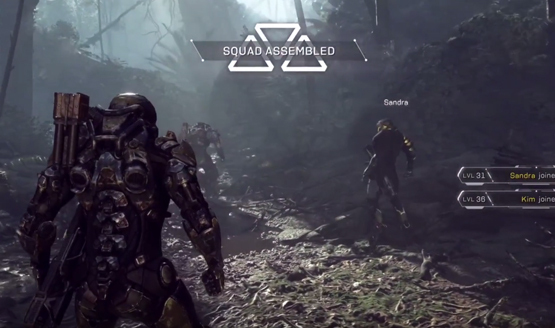 Finally, the full Anthem experience will be released on February 22.